Crossroads Aiken has partnered with RightNow Media, an online media library with over 18,000 Christian Bible study, training and leadership videos from respected teachers and leaders. We’re thrilled to offer this resource to our members because it aligns with our goals at Crossroads. We desire to see every member belong, GROW and serve. RightNow Media allows you to grow in your relationships with Christ and others, from the comfort of your home or just about anywhere. We also long to see families strengthened. RightNow Media offers teaching on many parental and marital topics, and offers great wholesome videos for your children. ​Already have a RightNow Media account? Simply click the Member Log In button to access your account. Are you ready to get your own RightNow Media account? Click the Join for Free button to sign up. ​Online Apps for your mobile device. 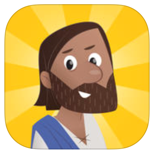 Read and listen to the Bible with this online app.